In anticipation of the upcoming arrival of my inaugural BellaBox, I thought I'd post a review of the August Lust Have It beauty box that I bought a few weeks ago. I actually placed the order for a Lust Have It box last month but it was unfortunately lost in the mail. Luckily, their fantastic customer service department quickly fixed that and re-sent my order. The box was beautifully packaged in an aqua coloured gift box with all the goodies nestled in swathes of black tissue paper. I received a good mix of cosmetics, skincare and haircare; I also received 2 full size products! (Clockwise from top left): La Roche Posay Thermal Spring Water, La Roche Posay Lipikar Body Balm, Revlon Nearly Naked Sampler, KMS Californa Add Volume Volumizing Spray, Sinful Colors Nail Polish in Under 18 (Full Size), Revlon PhotoReady Skinlights Illuminator (Full Size), KMS California Free Shape Conditioner, LUSH Gorgeous Facial Moisturiser. I remember when the Skinlights range was first launched; I was just about to hit high school and was obsessed with making myself as glittery and shimmery as possible. Lovely. The Revlon Skinlights range was a little too subtle for my liking back then but I bought it anyway and slathered myself in it in the hopes of looking like a human sized Christmas angel. This time round, the Skinlights Illuminator is just as awesome as I remember and comes in a great range of tones, from gold to bronze to the pale pink I received in my Lust Have It Box. It's a great, pared back shimmer that you can mix in with your foundation for an all over dewiness or use on it's own to highlight the high points of your face. Believe me when I say a little goes a long way! The texture is smooth and gel like; it's very soothing on the skin. 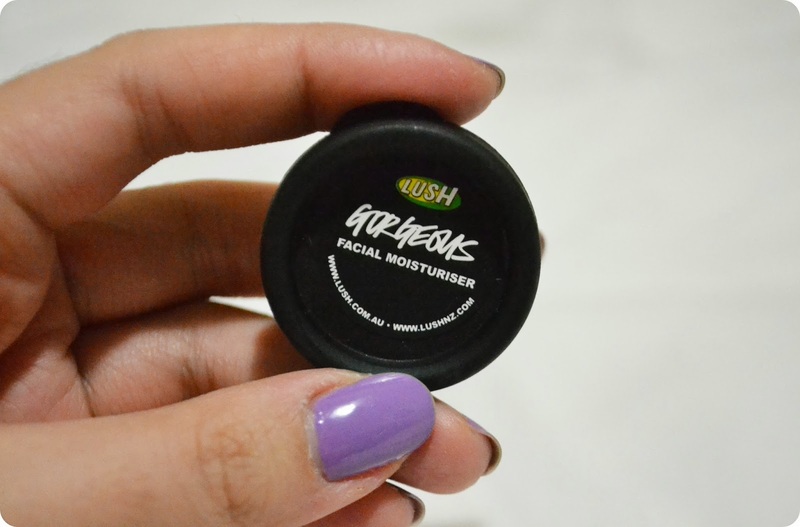 Okay, confession time: I'm not actually a huge fan of LUSH products. I find them to be just a little too strong in the scent department. That being said, I haven't spent a whole lot of time in a LUSH store in recent years so maybe it's time for a visit. In my box, I received a tiny pot of Gorgeous Facial Moisturiser which I actually really enjoyed using. It's very light and not at all greasy. It does have a peculiar scent that I, for some reason, associate with natural products made with a lot of essential oils, but it's not offensive at all. 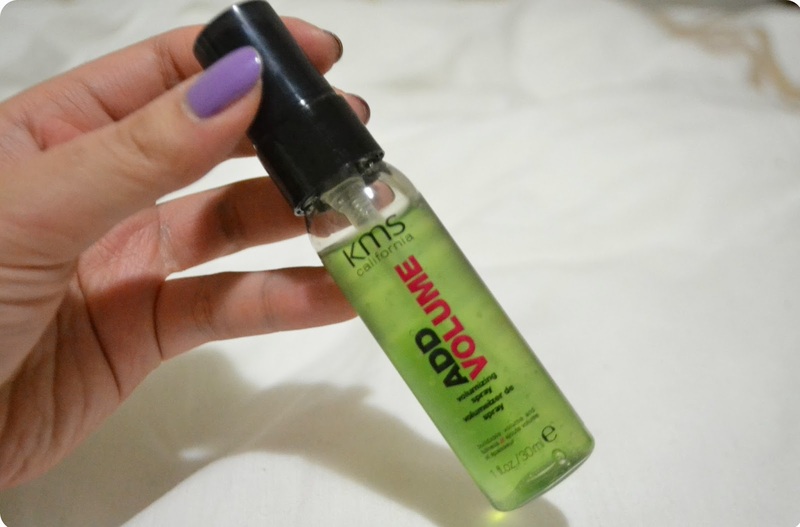 KMS Californa Add Volume Volumizing Spray is great for adding a little extra body to your blow dry. I don't normally use volumizing products since my hair is pretty thick anyway but this stuff is still pretty awesome if your hair needs a bit of a kickstart. Tread carefully though; since this goes on your roots, apply it sparingly lest you end up with weirdly crunchy, greasy looking roots. Ick. I've never used a La Roche Posay products before but I've heard good things about them. Luckily, this month's Lust Have It Box had not one, but two La Roche products for me to try! 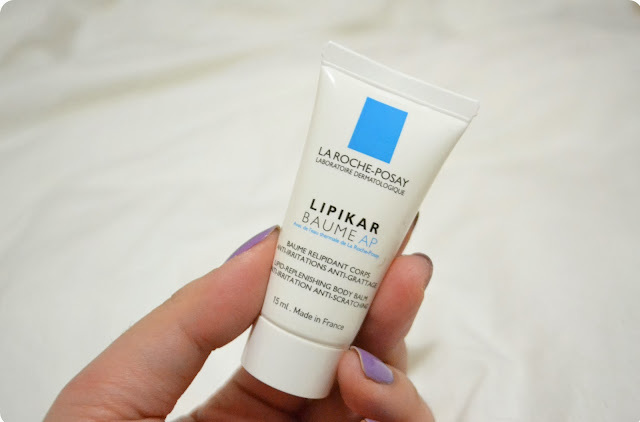 La Roche Posay Lipikar Body Balm is a lovely, light body moisturiser which claims to replenish lipids in your skin (whatever they are!). It's made for dry to severely dry skin so I used it on my hands and feet, both of which were chapped from a combination of winter weather and neglect. It's fast absorbing and doesn't leave you with a greasy film on your skin which is great, and it's also fragrance free. Excellent. 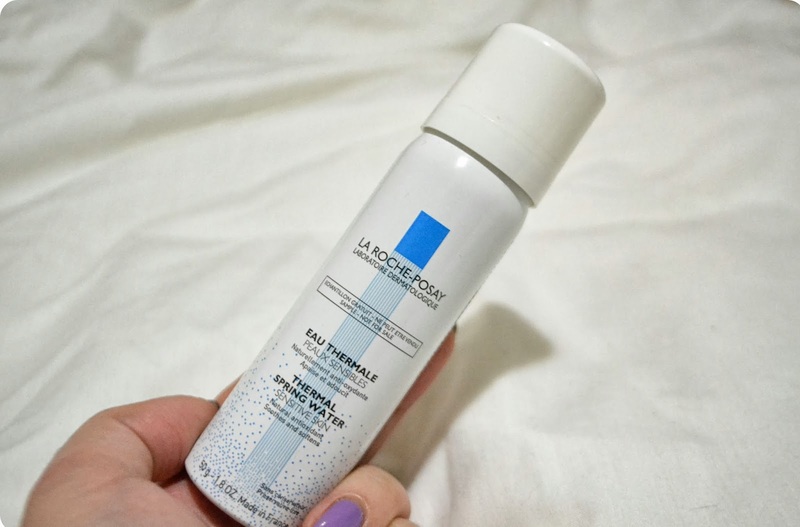 I've always been a bit skeptical about the benefits of thermal spring water sprays like the well known Evian one but this La Roche Posay Thermal Spring Water Spray has changed my mind! I have a ridiculous hay fever problem and this stuff helps to soothe my itchy, irritated eyes and also calms out my freaked out skin. It's a really fine mist and doesn't really leave your skin wet, unless you absolutely douse yourself in the stuff. I find it's also great for refreshing your makeup after a few long hours of wear. I received a decently sized 50ml can of the product which is great since I never would have purchased this to try myself. Sinful Colors Nail Polish in Under 18 is a warm toned, red shimmer. I received the full sized bottle which is excellent. Although, as a nail polish nut, I do own about 5 billion red nail polishes but another one never hurts. This polish applied well, the brush was nice, but it did dry with an unflattering matte finish. Though that may have just been the shade I received. I believe Sinful Colors Nail Polishes can be found at Target and Priceline for under a fiver each. 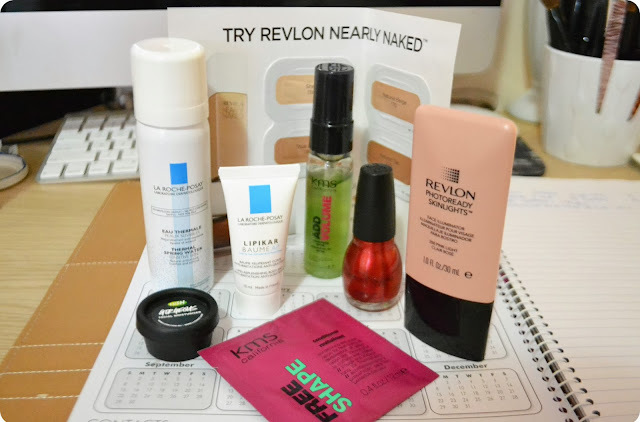 You'll notice a couple of samples are missing from my review; this is purely because I tried them out the second I got my box and in all the excitement, I forgot to take photos/write anything down. Whoops! Aside from the little hiccup with my lost beauty box, I definitely had a great experience with Lust Have It. Their customer service is great and the products I received are ones that I would actually use or at least would want to try. 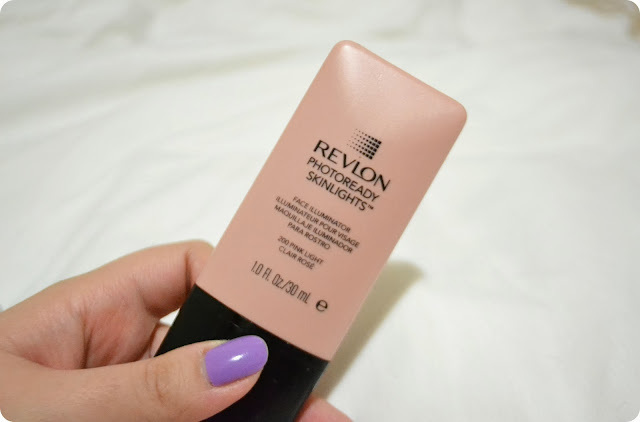 For AUD$19.95, it's great value, considering the Revlon Skinlights Illuminator retails at AUD$29.95 on it's own. Definitely recommend! Check in next week for my BellaBox review.